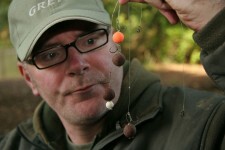 Is it any wonder anglers get confused with rigs! As the colder weather starts to make everything slower, including myself, the Carp are less active. Not just in their physical movements but also in their feeding habits. Don’t misunderstand me, the first frosts do not signal the end of the Carp-fishing season, nothing could be further from the truth but as a cold-blooded creature they slow down. Therefore, one subject that I have not written about for a long time becomes more relevant – rigs. There are very good reasons for me not writing about them in any detail and those that know or have met me, realise I try to give actual advice that works. Not the theoretical claptrap that is written about rigs far too often. With spilt shots, putty, rings, swivels and God knows what I get confused at times. That’s after 35 years of fishing for Carp so goodness knows what the beginner thinks. Simply put, I do not think it is the most important part of Carp fishing. Don’t get me wrong; I am not saying that the wrong rig would not be a disaster… it would. However, I believe with the Carp-media throwing rigs at beginners non-stop there is more than enough information for anglers to get a confused understanding of the basics. However, that is where I step in. Unfortunately I believe the current spate of rigs is usually someone’s spin on other rigs. These hybrids are often made during bivvy boredom. Devised on a sleeping bag cover they have no actual realism to what happens underwater. Therefore this month I am going to try and give my take on rigs and what I believe will be sufficient to give you an understanding of what you need to catch more Carp. Remember, learning about anything is something that comes with experience and experience is simply time. However, time spent behind motionless indicators is tantamount to giving no practical experiences. Therefore, firstly if you want to test any rig and see what its potential is, use it on a water where you know how to get runs. This is usually the first hurdle people fall down at. Many of the fancy rigs you see, often are seen on waters where long blank sessions are experienced. What does that indicate? This usually works on the angler’s mindset so he starts to think about rigs and why he isn’t getting action. Usually though, I would guess the last reason why the angler isn’t getting no action is because of rigs. No, as I said earlier, if you don’t get the location and bait correct you are wasting your time. Let me give you a while to digest that… I will mention it again. Rigs are not as important as location and bait. Simple but often lost in today’s mad rush for any information. It is very difficult to take pretty pictures of bait and impossible to take them on location. So we don’t get as many articles on these far more important aspects of Carp fishing. Notice the size of the enlarged rig ring on Holmesy's blow-back rig. When it comes to rigs ask some basic questions. How am I going to catch the Carp? Top, middle or bottom? If it is bottom, what is the type of bottom that I am fishing on? Clear, choddy, silty, weedy or as so often, a mixture of all of these depending on where the hook bait settles. If you can answer these questions, then you can look at what I call the offshoot questions. These are what size of Carp am I fishing for? How pressured are they? What is the rig history on the lake? What type of bait am I using? Immediately, I guess many of these questions cannot be answered. Yeah for sure but try and make an assumption based on your own findings. That is why time (experience) plays such a crucial part and how other people’s history can some times work against you. When I go on a new water, as I have done this year, I do not want to know everything in detail. Yes a brief outline on rig history but I am more concerned in learning for myself. Unfortunately far too often anglers are looking for a quick solution and so try and get that from other people’s experiences. All that does is reduce the effectiveness of your attack and you won’t reap the rewards. Remember originality will bring the ultimate reward, both physically and mentally. For me there is nothing more satisfying that thinking my way through a problem? When a Carp blows the bait out, the ring glides all the way up the hooklink, jamming and hooking the Carp in the process! To give some actual pointers and help, as I don’t know your water, I start with the hooklink. This is a vital part of the rig conundrum. Do I want mono, fluorocarbon, braid, coated braid, peeled back coated braid, multistrand (remember that) or various versions. If you were in doubt my number one choice would be to simply use nylon hook links. If the water is gin-clear then use a fluorocarbon. There are several advantages the first being the semi-stiff properties. This help to keep the rig from tangling and also helps to keep the hook in the carp’s mouth longer. This is not an in-depth, over technical piece but the ejection of a baited hook will always be quicker with a supple braid. This is why so many anglers now use coated braid and strip back the inch or so near the hook. It gives the suppleness that many think works well in the carp’s mouth but also gives the stiffness to make it stay longer in the mouth. It also helps to kick the bait away from the hook avoiding tangles and laying flat to the lakebed. However if your baits are small, your baiting pattern tight, the Carp won’t have to move far for the next offering. This means feeding can be simply sucking in baits. In this scenario, supple braids work best. Conversely, if you are fishing for large Carp that are picking up individual baits well spread, then a stiff hook link assists in hooking the Carp. 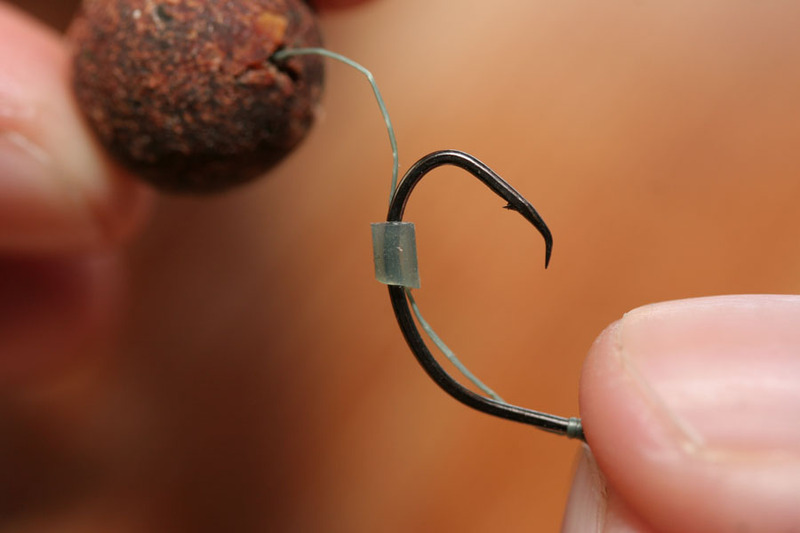 The stiffness of the hook link also helps to separate the bait from the lead and avoids any tangles. It also brings into play the lead in the hooking process. All of these important aspects need taking into consideration. The silicone tubing is 1mm. This holds the hair in place but allows movement. I would like to point out a couple of misconceptions that I constantly see. It involves the blow back rig and the flip-n-turn rig. 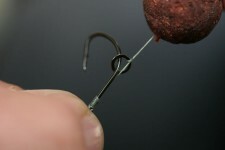 The blow back rig is one that uses a rig ring that sits at the bottom of the hook’s shank, tied to the loose hair. Of course beneath the hook is the attached hook bait. The principle is that as the Carp blows the bait out of its mouth, the ring slides up the shank. In theory, this leaves the hook in the Carp’s mouth. However, unless the rig ring is large enough to go over the eye of the hook, or line aligner it will simply jam. This is not what the blow back rig was devised for. The ring should slide up the line and only stop when the full length of the hair has been extended. This is the true principle of this rig. However because small rig rings look neater and compact, I constantly see the blow back rig being portrayed wrongly. Likewise with the flip-n-turn rig as I call it. On the bend of the hook, if you trap the hair with a piece of silicone rubber, it makes the hook flip in the carp’s mouth. You can also get this affect by adding a small shot on the hair but this drops, not flips the hook in the Carp’s mouth. However when some people see my flip-n-turn rig, they often comment that the silicone rubber is not very tight and maybe, I should use shrink tube to fasten the hair to the bend. Nothing could be further wrong. I don’t want this tubing to simply flip the hook, I want it to tell me if my bait has been picked up or ejected by a Carp. No the loose, attached silicone will move position, usually up the shank, when ejected by the Carp. The beauty of this is after a runless session, the angler is able to recognise instantly if the Carp have picked up his bait but failed to hook themselves. This information then allows the angler to make the necessary changes. This ability to evaluate what happens beneath the water is vital and will give the angler far more knowledge in real terms than he can ever gleam from the latest rig handbook. When a Carp blows the bait out, the silicone moves. You can't get this with conventional shrink tubing. Also make sure you understand how your hook sits. Do I want it off the bottom and underneath the bait, in pop up style or nailed to the bottom? Both have their day and merits and I will not prejudice your decision. Suffice to say, make that conscious decision yourself applicable to your water and fish. Finally, a vital piece of advise I would give for the carper who wants to convert the majority of pick ups is try and make the hook bait act like freebies. Immediately, I would say that is impossible. We have a hook attached to one and not to another. However by balancing out the weight of your hook bait, you will increase your chances tenfold. This can done by using critically balanced or wafter hook baits. 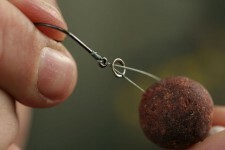 Basically, you can reduce the weight of the boilie by taking mass out (drilling and replacing with a buoyant plug) or altering the ingredients of the hook bait (cork dust). Both have their merits but be careful. In winter I still want my hook baits to give off food signals and too much cork dust, cork/foam inserts can affect this. The quick tip to combat this is to glug your hook baits. Not excessively mind but overnight is a good balance. Holmesy's favourite October catch. Snoopy from Home Pool in Gloucestershire at a top weight of 37lb. Word count restraints stop me from going into further detail, which is probably good, as I do not want to add confusion to your rig thoughts. The gist of what I am saying is try and work out what you want from a rig and remember to see past the corporate trap of believing you need excessive components to make an effective Carp rig. You don’t! This entry was posted in Techniques and Methods and tagged carp academy, carp fishing, mark holmes. Bookmark the permalink.